Treat yourself to a day of sun & fun and a delicious BBQ food in the magic blue sea. 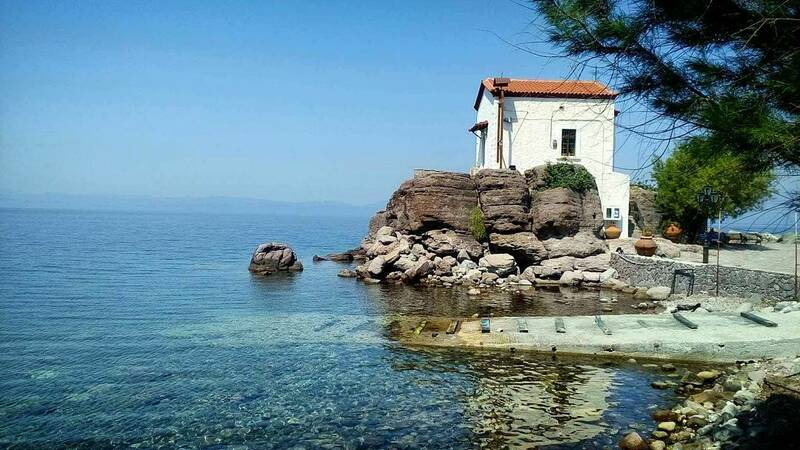 Admire the beautiful coastline along the north part of Lesvos, where water and sun lovers will feel right at home. Spend the day swimming, snorkeling or simply relaxing on up deck of the boat. The highlight of the day is a delicious BBQ lunch with souvlaki pork -chicken, potato, salad, tzatziki, feta, bread and 1 refreshment or free wine. Return approx. at 17.30 hrs. The boat will depart from Molyvos at 17.30 hrs and from Petra at 17.00. The boat follows the coastline in direction north towards the small fishing village Skala Sikaminia. In Sk. Sikaminia you have the possibility to admire the beautiful sun set from the rock with the small church or to go for dinner in one of the taverns at the small harbour. On the way back you will be delighted by the stars in combination with the Greek melodies. Departure from Skala Sikaminia at approx. 21.00 hrs. You will be back in Molyvos/Petra at approx. 22.00 hrs. 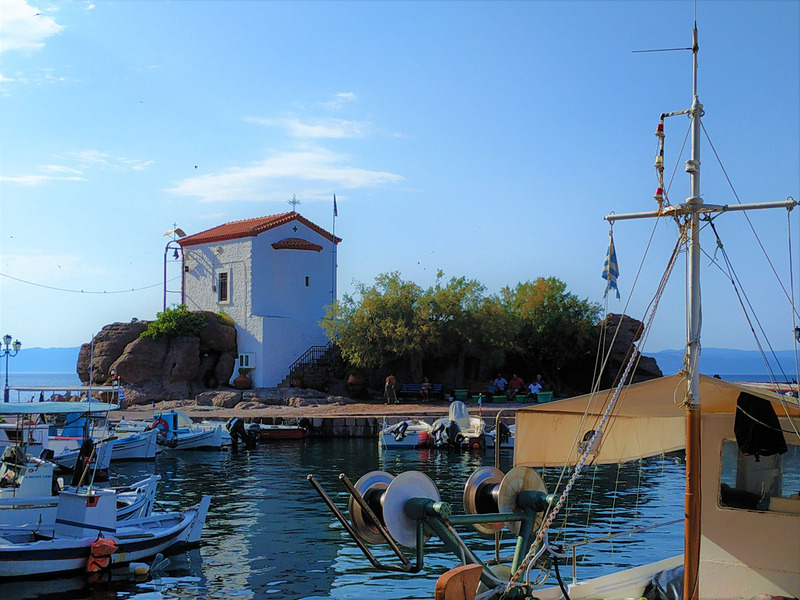 After the fascinating trip along the beautiful coastline on board we visit the traditional fishing village of Skala Sikaminias with the famous church of “Saint Mary the Mermaid” and the picturesque square with its bustling taverna’s. Kagia beach is ideal for swimming and snorkelling. Return approx. at 16.00 hrs. 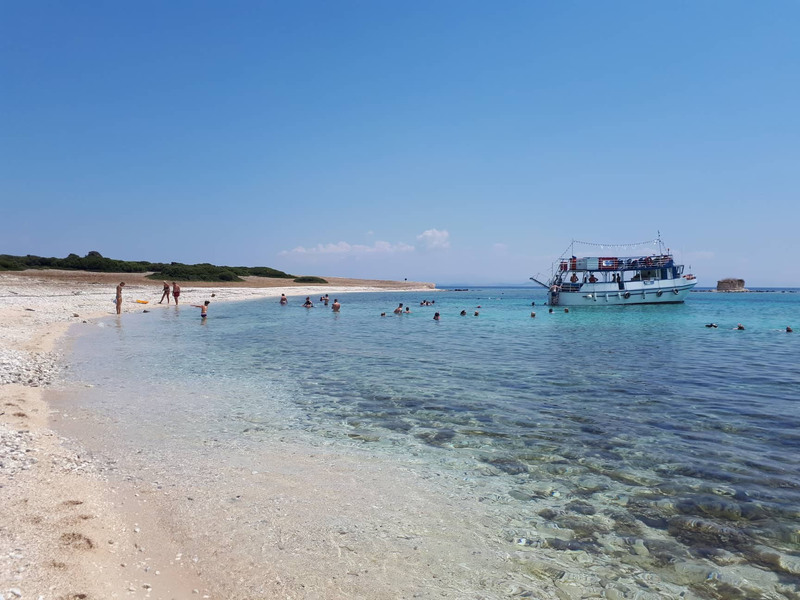 Ampelia boat trip is ideal for our quests that are looking to cruise around in the nearby beaches. 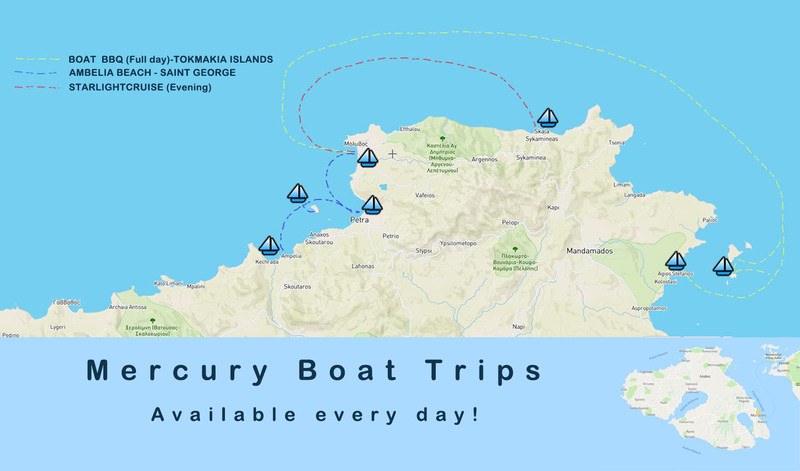 We start our trip from Molyvos harbour at 10:30 a.m and from Petra 11:00a.m. We leisurely cruise along the coast to the sandy beach of Ampelia. When we reach Ampelia, the beach is within few meters. You have the time to swim and relax for about one hour. After that stop we depart from Ampeliato the inhabitated island of Saint George – Rabbit island . 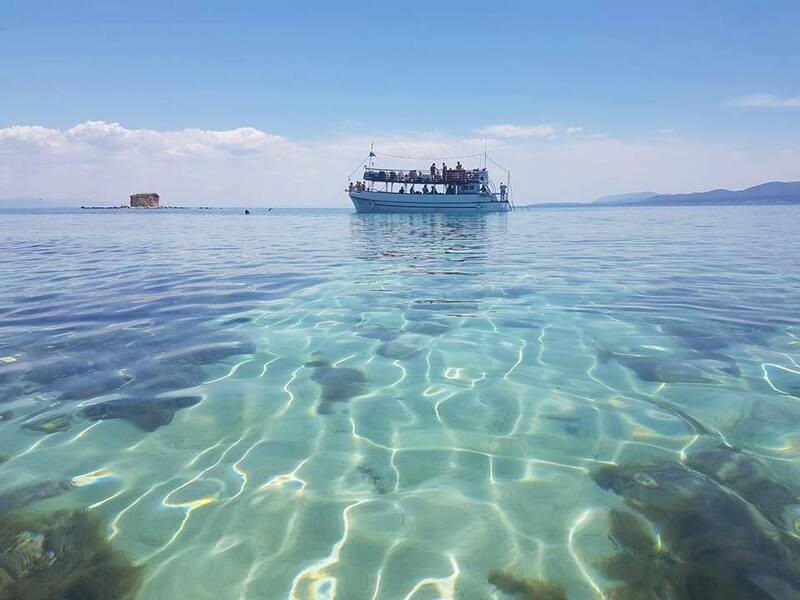 We stay there for about two hours , there is plenty of time to swim , snorkel( snorkeling equipment on board) or relax on the upper deck sun lounge and watch the crew prepare our delicious salad with one soft drink that will be served on board. A refreshing fruit will be offered to everyone!! !